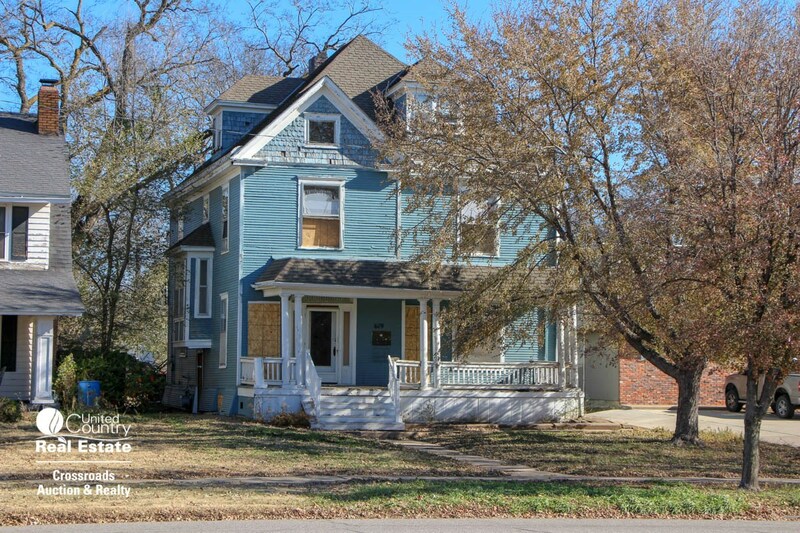 Curt Marshall, Terry Zimmer & Brian Rose of United Country - Crossroads Auction & Realty of Salina, Kansas are offering online-only auction a group of (5) different residential properties in Salina, Kansas. Bidding Ends on Thursday, December 13th starting @ 6:00pm CST. Immediate possession will be given upon closing for the properties. Each home is vacant and ready to be rented / moved into. By participating in this auction, bidders hereby agree that their bid shall NOT BE SUBJECT to the bidder’s ability to obtain financing. 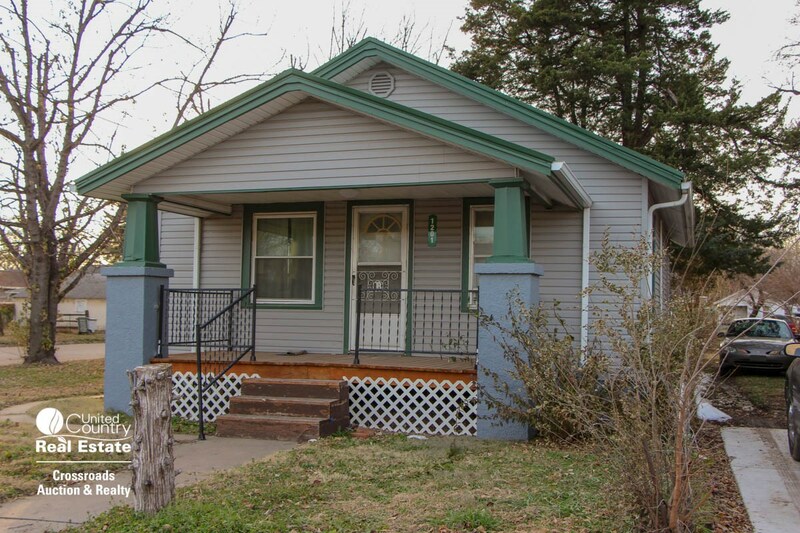 By placing a bid in this auction, bidders are making a “cash offer” to purchase the property. Financing is NOT a contingency in the purchase agreement. Winning bidder hereby agrees to enter into a Contract to Purchase the property within 24 hours of being declared the Successful Bidder by the Auctioneer. Upon the close of the auction, the winning bidder will be forwarded via email or fax a Contract to Purchase the property. A signed copy of the contract must be received by United Country - Crossroads Auction & Realty, Inc. within 24 hours of the end of the auction. Under no circumstances shall Bidder have any kind of claim against United Country - Crossroads Auction & Realty, Inc., or anyone else if the Internet service fails to work correctly before or during the auction. Online bidding is subject to technology faults and issues, which are outside the control of the auction company. BUYER’S PREMIUM: 10% Buyer’s Premium shall be added to the final bid price placed online which will determine the Total Contract Sales Price. Bidders hereby understand that the Buyer’s Premium of 10% shall be added to the winning bid to create the Total Contract Sales Price for which they are obligated to pay for the property. ESCROW: An escrow deposit of Ten Percent (10%) of the total contract purchase price (which includes the buyer’s premium) must be received by the Title Company within 48 hours of the close of the auction. Acceptable forms of payment include cashier’s check, personal or corporate check or wire transfer. The balance will be due in full at closing. 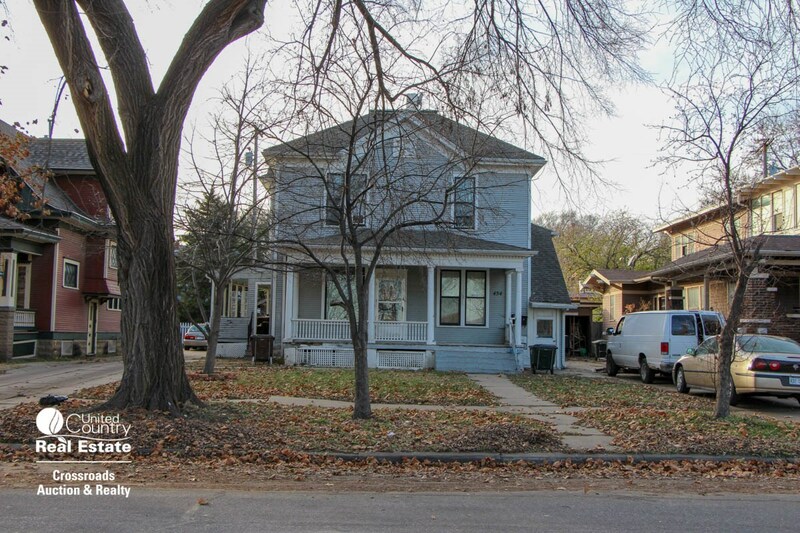 CLOSING: Buyer must close sale of real property on or before Monday, January 14th, 2019, at Kansas Secured Title (Lot #1) or Land Title Services, Inc. (Lots 2 – 5) in Salina, KS 67401. TIME IS OF THE ESSENCE. The entire purchase price must be paid by Cashier/Certified check or wired funds at closing. No purchase is contingent on financing. Buyer is entitled to a deed for property upon full payment. Buyers should have all tests and inspections completed prior to the date of the auction. Only the Purchase Contract shall set forth Seller's obligations to the successful Bidder. Out of area buyers will be afforded the opportunity to close via email, mail and wire transfer of certified funds. Possession of the property will be given at closing. TAXES: Seller shall pay 2018 taxes and all prior years. 2019 taxes will be pro-rated to the date of closing. TITLE/CLOSING COSTS: Seller and Buyer shall share equally in the cost of owner's title insurance and escrow closing. Preliminary Title insurance has been prepared by Land Title Services, Inc. and will be updated with Buyer information prior to closing. Buyer is responsible for cost of lender's policy. TITLE EVIDENCE/DEED: Seller will deliver to Buyer an insurable deed for the Property at time of closing, conveying clear and marketable title of surface rights to said Property, free of all encumbrances, liens and judgment, except for those lawful conveyances and restrictions that exist on record before the date of the auction, as noted in the title insurance commitment. PROPERTY SOLD "AS IS, WHERE IS, WITH ALL FAULTS" WITHOUT REPRESENTATION OR WARRANTY OF ANY KIND: The real property shall be sold subject to conditions, restriction, right-of-way easements, and reservations; if any, of record, filed and untitled mechanic's and material men's liens; if any, and all other matters of record taking priority, subject to the rights; if any, of tenants-in-possession, and further subject to all conditions announced at the safe; and confirmation of the seller. Announcements made day of auction take precedence over previously printed material and oral statements. RESTRICTIONS: Subject only to (1) all City, County, and State laws, ordinances and regulations and (2) any easements, encumbrances, and restrictions applicable to the Property. 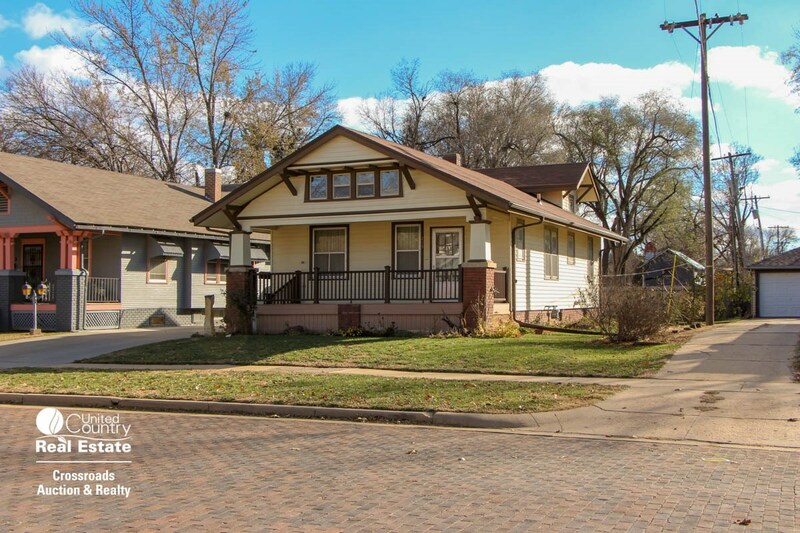 Seller is placing no restrictions on the property. UTILITIES: United Country - Crossroads Auction & Realty, Inc., nor the seller guarantees the availability of utilities, public or private. This consists of, but is not limited to: wells, septic tanks, access to public utilities or any hookup fees therewith. Confirmation of utility availability is the bidder's sole responsibility. ADDITION OR WITHDRAWAL FROM SALE / CONDITION OF SALE: All bids are subject to Seller approval and the tracts are being offered for sale with that reservation. The Auctioneer reserves the right to cancel the auction up to the time prior to the commencement of bidding. If a subsequent survey by the Buyer shows a greater or lesser number of acres or square footage this will not affect the purchase or purchase price. AGENCY: The Broker/Auctioneer is acting as agent for the Seller only. During bidding, the Auctioneer has the right to reject any raise that in his opinion is not commensurate with the property value. In the event of any dispute after the sale, United Country - Crossroads Auction & Realty, Inc.'s record of final sale shall be conclusive. All information and materials provided by Auctioneer is subject to inspection by all appropriate parties and the Auctioneer assumes no liability for its accuracy, errors, or omissions nor its agents, the Seller or its agents. Prospective bidders should independently verify any information being materially relied upon in making a purchasing decision. LIQUIDATED DAMAGES: Buyer will forfeit all of their deposit if they cannot close within the stated time herein - and no written extension has been granted by the Seller. If such action occurs, United Country - Crossroads Auction & Realty, Inc., hereby has the right to disperse the deposit as stated in the listing agreement and the Buyer has no claims to such money or property being sold. Liquidated damages are to cover cost of auction, cost incurred by seller, labor cost, and additional cost of auction as not defined in this agreement. These liquidated damages do not restrict the seller from suing the Buyer for performance damages and/or any additional damages the seller suffers by the default of the Buyer. ARBITRATION: For disputes that are not resolved by the parties within 10 days after either party gives notice to the other of its desire to arbitrate the dispute, the dispute shall be settled by binding arbitration by the American Arbitration Association in accord with its then-prevailing rules. Judgment upon the arbitration award may be entered in any court having jurisdiction. The arbitrator shall have no power to change the provisions of this Agreement. The arbitrator shall consist of one arbitrator, who must be a real estate attorney actively engaged in the practice of law for at least the last five years. BUYER'S NOTE: Individual purchases are to be considered as singular transactions not contingent on the sale of other properties or tracts. United Country - Crossroads Auction & Realty, Inc., reserves the right to offer the property in individual tracts, combination of tracts, as a whole or in any way that we see fit in order for it to bring the most money for the owner. The sale of combinations supersedes the sale of individual tracts. The decision of the Auctioneer is final. Seller and United Country - Crossroads Auction & Realty, Inc., reserve the right to amend any terms and conditions prior to or during the auction. BIDDER'S DUTY TO INSPECT: All information published, announced, or contained herein was derived from sources believed to be correct; however, it is not guaranteed by the seller, the auctioneers, or any other person or entity. Personal onsite inspection of all property by potential bidders is strongly recommended. All sales are subject to the conditions and terms contained herein. The failure of any bidder to inspect, or to be fully informed as to the condition of the property, will not constitute grounds for any claim or demand for adjustment or withdrawal of bid, offer or deposit money after its opening tender. This includes but is not limited to public information such as easements, restrictions, zoning, rights-of way, or any other information that can be obtained as public record in the county courthouse or any municipal office concerning subject properties. Any and all announcements made from the auction stand take precedence over all other verbal, printed, announced, and/or distributed information. Please note that you are bidding to purchase the Property "As Is, Where Is" with no guarantee or warranty. Property sells subject to Owner Confirmation. Accredited Land Consultant Curt Marshall, Auctioneer and REALTOR, joined United Country in January 2010. Curt is a finance graduate of Kansas State University and a Graduate of the School of Banking in Colorado. He spent four years as a federal bank examiner and has been in commercial banking since 1996. Curt is a 1999 graduate of Missouri Auction School, has been a licensed REALTOR since 2006, is a member of REALTORS Land Institute (RLI) and is one of very few in Kansas with the Accredited Land Consultant (ALC) professional designation. Curt and his wife, Lynn, have one son, Andy. 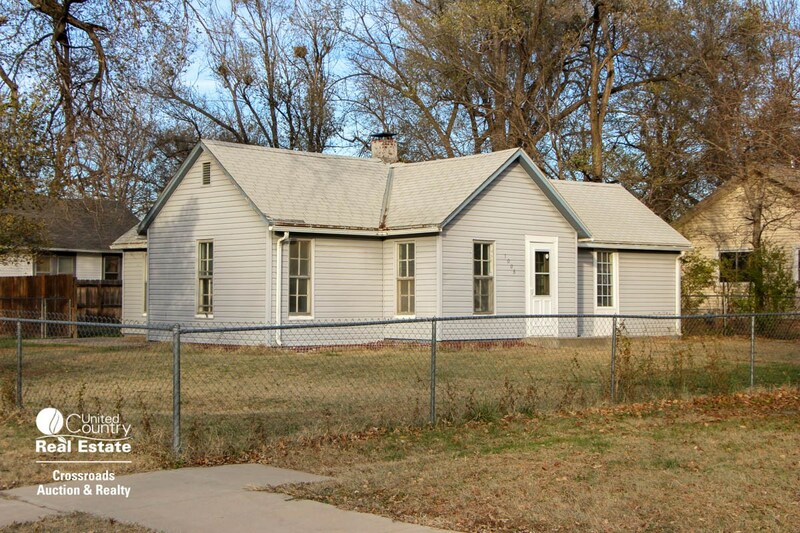 They live in Salina, Kansas and attend the First Southern Baptist Church.